Guys, all I can say is TGIF! Now that I'm a full-time working girl I am so exhausted when I get home from work everyday. I've also still been working at the restaurant this week but guess what? Tomorrow is my last day of waitressing, probably forever and I'm not sad about it...like at all! I have been waitressing since college and I am beyond ready to be done with it. So tomorrow I'm hanging up my apron strings and I won't be looking back! Love this look! 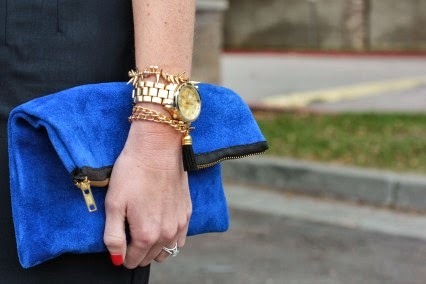 That clutch is gorgeous! That's awesome about starting a new job! Great interview outfit as well. I need to learn how to curl my hair the way you do....so pretty! Gorg! Love that you got that job :) So cool! Congrats on your new job! Thank you for sharing your fun style with us! Love the outfit! Its so cute and work appropriate, but without being boring. I always love leopard! First of all, congrats on the new job! That is so exciting! Love this work look. No wonder you got the job- you were the most fashionable interviewee! Love that top. Have a great weekend! Oh congrats on the new job and of hanging up the waitress apron! This ensemble is much cuter on you that the apron, I'm sure. (well depends on where, but I can safe assume that, lol) I love your clutch and your shoes! This outfit is super cute!!! I love the pattern and color combo. 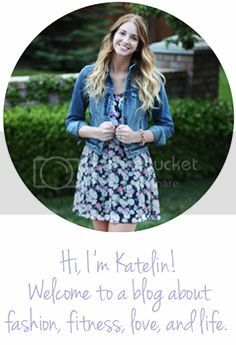 I found you on Friday's Fab Favorites link up. I write a fashion blog as well at www.fashionistamomma.com I would love for you to stop by. I'm loving all the colors you have going on! Beautiful look! Loving the gold and of course those shoes!! Thanks for linking up gal!! You totally deserved that job!! This outfit rocks!!! all the different elements so perfectly balanced... LOVE IT!! !